At least 15 people were killed in Somalia over the weekend as Tropical Cyclone Sagar brought the heaviest rains on record in the country. The tropical storm brought 60mph winds to the coast of Somalia and ventured further inland than any tropical storm since records began, 52 years ago. 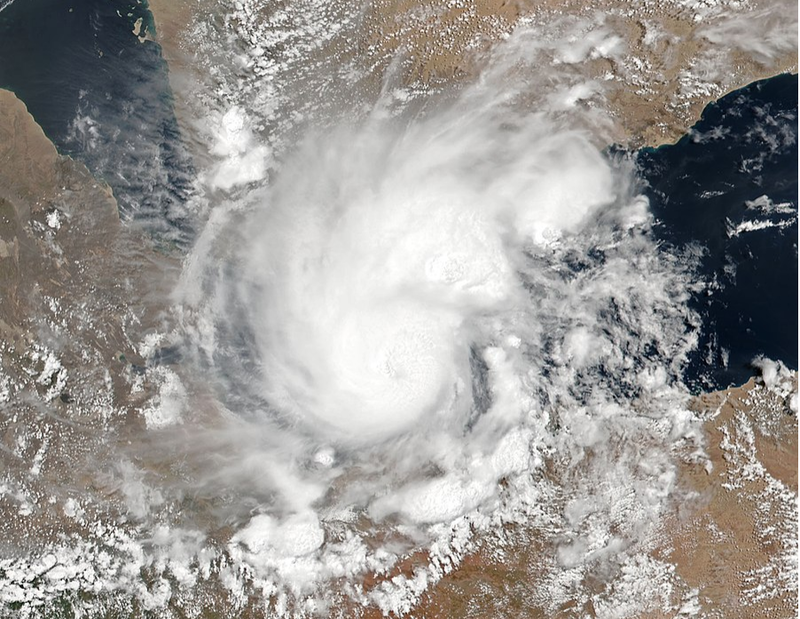 The cyclone hit the Puntland and Somalialand regions with heavy rains before moving along the coast towards Djibouti. At least 15 people were killed and tens of thousands displaced by the storm. Tropical Cyclone Sagar, which means “the sea” in Hindi, formed in over the Gulf of Aden last week, between Yemen and northern Somalia. After suffering three years of drought conditions, Puntland and Somalialand were hit by the heaviest rains on record while central and southern Somalia also suffered from floods – including the capital, Mogadishu, where at least six people were killed on Saturday. “In the last 24 hours, heavy rains killed 15 people in the districts of Lughaya and Baki,” Abdirahman Ahmed Ali, governor of the Awdal area, told reporters on Sunday. The UN Office for the Coordination of Humanitarian Affairs explained that the areas of Somali experiencing drought over the past few years were the most susceptible to flash floods as the heavy rains fell. “The cyclone has worsened the humanitarian situation in the two states and disputed regions, which have experienced protracted drought dating back to 2015, leaving them particularly prone to flash flooding in the direct aftermath of massive downpours,” it said in a statement.